If there is one thing we can say about DigiTimes, it’s that it can be notoriously hit and miss when it comes to reliability. That’s why we always have to take reports via the outlet with a pinch of salt, but that does not mean that they should be discounted. 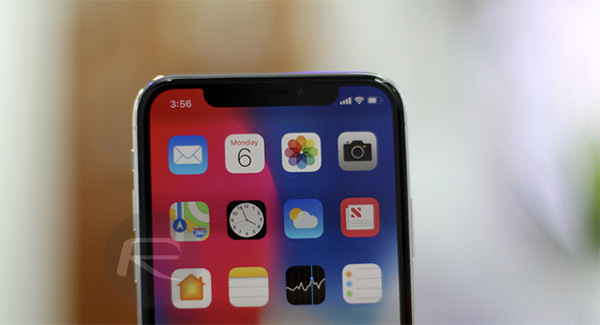 The latest surrounds the iPhone X, suggesting that demand for Apple’s high-end smartphone is lower than had been expected. While this would be counter to what some analysts have claimed, what really makes the report of note is the claim that Apple will counter lower demand by reducing the price of its most recently released devices. That means that anyone looking to pick an iPhone X, iPhone 8, or iPhone 8 Plus could potentially do so at a reduced price soon enough. According to the report, Apple plans to reduce the price of its newest iPhones in order to try and kickstart demand. This comes after supposedly sluggish sales in some key markets, including Taiwan, the U.S., and Singapore. While it is not unheard of for Apple to reduce the price of older generation iPhones in September, when a new release comes, the report suggests that we could see the current crop of iPhones receive a price reduction sooner than that – early in 2018. With three new iPhones again expected to be announced towards the back end of 2018, we could potentially see a rejig of the iPhone lineup once more. If Apple is indeed keen to increase sales of the iPhone X, iPhone 8, and iPhone 8 Plus by reducing their pricing then it would be interesting to see whether a further reduction would take place in September as normal. We would also be curious whether the new 2018 iPhones would launch at the same price point of their 2017 counterparts, too. Time will tell, but for now, we would warn against taking the report as gospel. If you’re in the market for a new iPhone right now, we certainly wouldn’t hold off on a purchase in case of a reduction in price. I bought an iPhone X on launch day and sold it to my local CEX trade in store 3 days later. How long was the “most desirable iPhone ever made” in the shop window for? It was there last time I looked in late November. People were just not bothered. The tech did not justify the incredible price especially when you consider the galaxy s8 does pretty much the same stuff for half the price. 2017 was the year when a few of my friends and some folks on twitter switched from being long time iPhone users to android. Coincidence? Or they took one look at the overpriced future of the iPhone and said enough is enough? Who knows if this rumour is true, not like apple to ever back down on price but maybe they can use the “manufacturing is cheaper now” line and make out they always had the price in mind. Personally I am still fine with my iPhone 6 and with the price tag of the newer models the only thing that could make me think about buying one of those iPhone8 or 10 is if mine breaks. And even then I am not sure that I would go for an iPhone. I already have an LG Tablet instead of an iPad (so flexible and versatile definitely a choice that I don’t regret!!!!) and my work phone is an Android and dare I say damn that phone is sweet!!!! Hasn’t THIS and the OPPOSITE of this both been said about almost every single device Apple has released for the past 10 years or more? Its not the price that are keeping people from buying the phones. The 7+ 256 was $950 and that phone sold like cray!!!! The issue is iOS11. Its pure hot garbage. Its buggy frustrating and has so many issues it feels like a Alpha not a full iOS release. I am so frustrated with iOS11 that LG phone at t-moble is looking mighty nice. Lower demand ? What lower demand ? New iPhone activations were 44% of all smartphones activations in Dec. 2017 vs 26% for Samsung… and Pixel less than 1%. What bugs are hitting you? I’m on iOS 11, seems fine to me! This sounds like a market manipulation pure and simple. People will hold off buying thinking they might get it cheaper and sales will actually fall. This would be a bad move and they’d lose a lot of consumer confidence. They may increase sales a little bit temporarily but will have more buyers hold off a couple months during the next upgrade cycle for the price cuts to hit. I doubt they’d be stupid enough to do this. They’d do better to release a lower end iPhone.